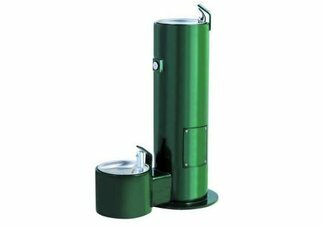 The BarkPark; Fido & Me Fountain offers a pedestal style drinking fountain and attached pet fountain. 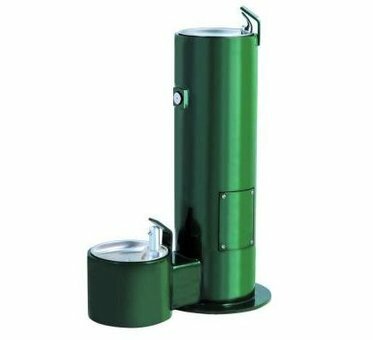 Available in green powder-coat finish, this attractive dual fountain provides refreshing water for dogs and their owners. Accessible versions also available. Colors as shown.